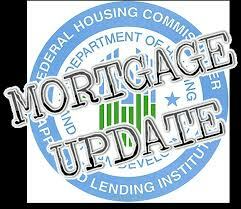 The U.S. Department of Housing and Urban Development just published Mortgagee Letter (ML) 2013-14 which centers on the revision of Federal Housing Administration (FHA) policies concerning cancellation of the annual Mortgage Insurance Premium (MIP) and increase to the annual MIP. The purpose of this revision is so the FHA can be consistent with its ongoing efforts to strengthen the Mutual Mortgage Insurance Fund. It is important to note that the section of this ML that increases the annual MIP is effective for case numbers assigned “on or after April 1, 2013,” except as notated below. Rescinds and updates various sections of the HUD handbook as appropriate. This ML increases the annual MIP on all forward mortgages previously announced in ML 2012-14, except single family forward streamline refinance transactions that are refinancing existing FHA loans that were endorsed on or before May 31, 2009; the rate for those streamline transactions remains at the level announced in ML 2012-14. Now, for loans with FHA case numbers assigned “on or after June 3, 2013,” FHA will collect the annual MIP for the maximum duration permitted under statute. For all mortgages regardless of their amortization terms, any mortgage involving an original principal obligation less than or equal to 90% LTV, the annual MIP will be assessed until the end of the mortgage term or for the first 11 years of the mortgage term, whichever occurs first. And, for any mortgage involving an original principal obligation with an LTV greater than 90%, FHA will assess the annual MIP until the end of the mortgage term or for the first 30 years of the term, whichever occurs first. This means for the life of the loan. If you have an FHA loan or are considering one and are concerned about the new policies or have any questions, please don’t hesitate to call as I can go over in more detail what all of this means to your loan.